specifications of many OEMs and are approved by automotive manufacturers worldwide. These technologies include corrosion protection solutions based on electrolytic deposition, as well as zinc flake coatings. Atotech, a global leader in the complex world of plating chemicals, equipment and services, presents next generation surface finishing technologies for fastener applications at the Taiwan International Fastener Show. From April 10 – 12, Atotech showcases a cross-section of the unrivalled portfolio of products for zinc and zinc alloy plating, zinc flake coatings as well as combined solutions meeting even the toughest industry demands. International fastener and corrosion protection experts share their insights into state-of-the-art corrosion protection technologies, current and upcoming market requirements as well as technology trends. 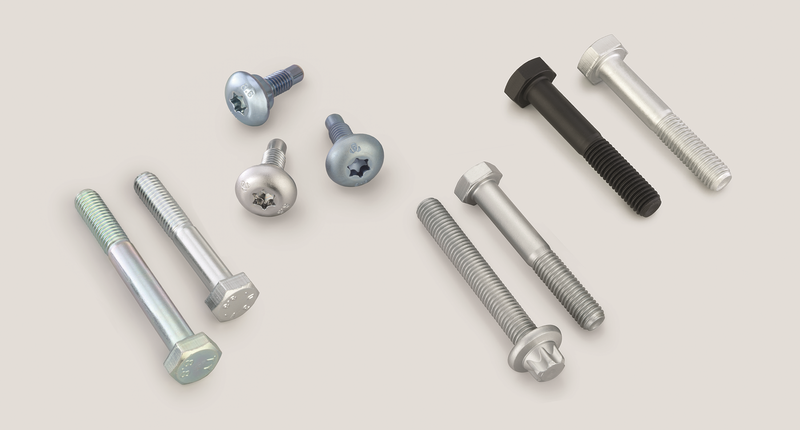 One of the major product highlights from Atotech’s corrosion resistant coatings portfolio presented during the Taiwan International Fastener Show is Tridur® DB. This Cr(III)-based iridescent passivate for acid and alkaline zinc nickel surfaces is completely cobalt and fluoride-free. Its corrosion performance even without a sealer application is unique on the passivate market. Zintek® ONE HP represents a highlight from Atotech’s zinc flake technologies. The silver zinc flake base coat shows a unique performance of 720 h NSST that can be achieved with only one zinc flake layer. To find out more about Atotech’s high performance corrosion protection visit us at our booth #B2516.